Today in the UK there is a plethora of different social media available. 72% of 12-15 year olds and 91% of 16-24 year olds use the internet for social networking (RSPH 2017). Certainly, the ability to communicate in a variety of manners, instantaneously across the globe, has introduced a myriad of advantages to almost every sector, including education. However, it has also brought with it serious challenges such as computer security, viruses, data hacking, fake news and of course, online bullying and harassment. Recent news headlines have called for the banning of mobile phones in schools; discussed controversy surrounding social media platform’s handling of content promoting self-harm and suicide and highlighted potential damage social media can do to mental health. It is certainly true that many children connect to social media just when their social and emotional development levels leave them exposed, yet despite the widespread concern, social media can also undoubtedly bring benefits to young people that use it. For example, socialisation, communication and relationships have all been made easier to manage, whilst health information and emotional support have also been made more accessible. Furthermore, social media platforms also provide an opportunity for young people to express who they are and promote positive self expression and have provided the platform for a ‘revolution’ in young people’s engagement in politics (Orehek and Human, 2017). This situation leaves parents, and indeed teachers, in a seemingly permanent battle between the potential educational and social advantages of social media, and the possible negative effects that some content may have on children’s attitudes, behaviour and safety. In an effort to discover more about this conundrum, and offer research-based guidance to both educators and parents, I undertook an investigation that also formed part of my MA in Educational Leadership and Management. 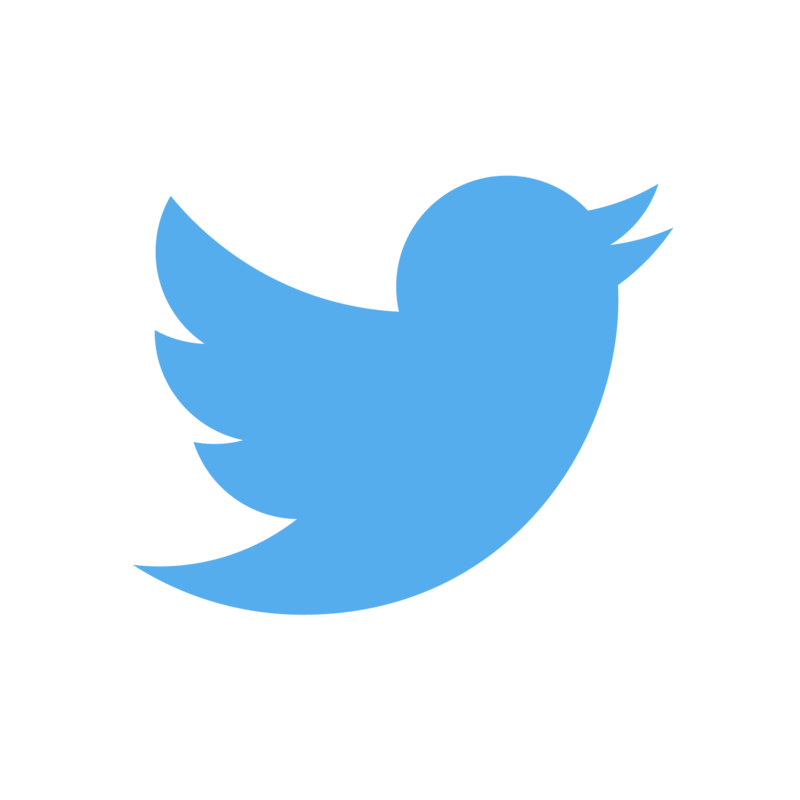 I conducted a critical examination of the importance of parental engagement, the disadvantages of social media and the current practice of parents when mediating their children’s social media usage. Furthermore, I am happy to be able to share that research with you for free on Apple iBooks. Since it’s inception in 2004, Safer Internet Day has gone from strength to strength and reportedly, in 2018, 45% of UK 8-17 year olds were involved in the annual event. The 2019 Safer Internet Day takes place on Tuesday 5th February, and this year’s global theme is ‘Together for a better internet’. The day provides an opportunity to put a spotlight on the positive uses of digital technology and investigate the role everybody plays to create an online community that is increasingly safer and responsible. 2018 was not just a success for Safer Internet Day. It was also the year in which Apple released their highly anticipated ‘Everyone Can Create’ curriculum. Four superb iBooks were made freely available on Apple Books on 1st October. 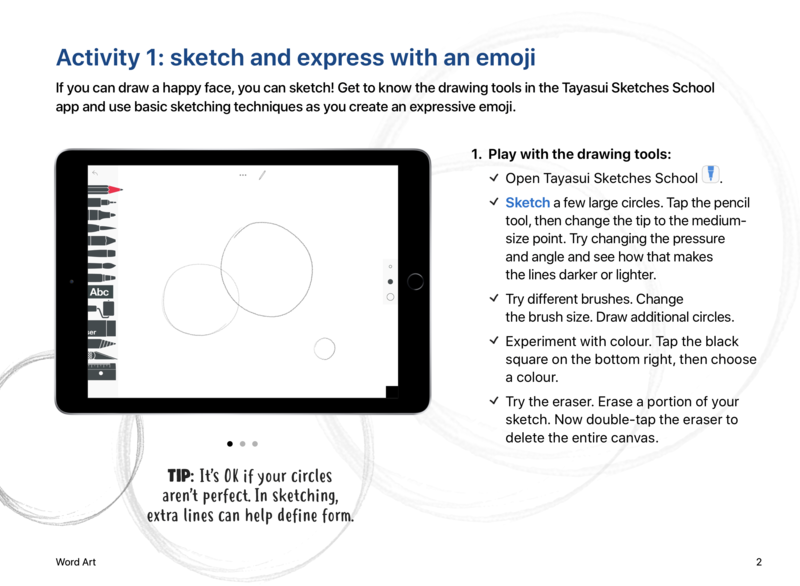 Each one provides expert guidance for children to develop and communicate their ideas through drawing, music, photography and video on iPad. So, for Safer Internet Day 2019, why not take the opportunity to unleash the creativity of your pupils and use the Everyone Can Create books to help them understand the significance of safe and responsible use of technology. 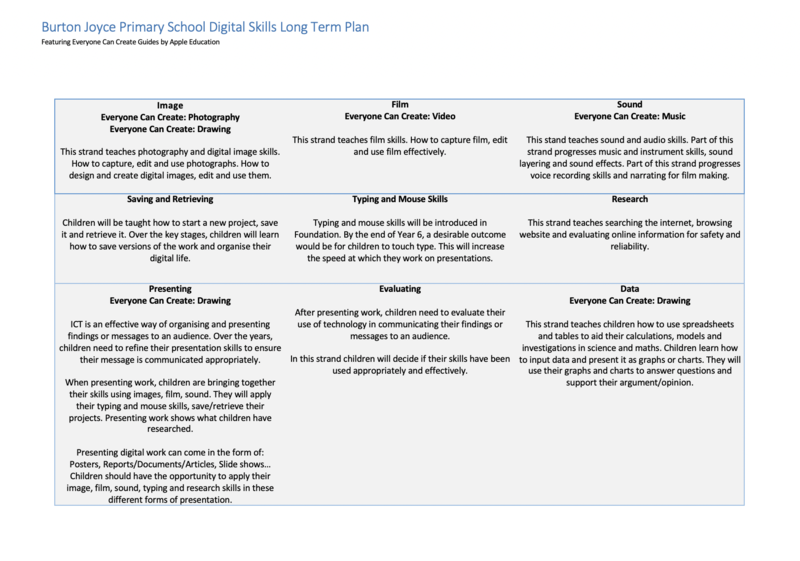 Many of the strands in the Burton Joyce curriculum, such as ‘Image’, ‘Film’, and ‘Sound’ correlate exactly with the projects and activities from Everyone Can Create and therefore can be mapped to digital skills for each year group in Primary school. 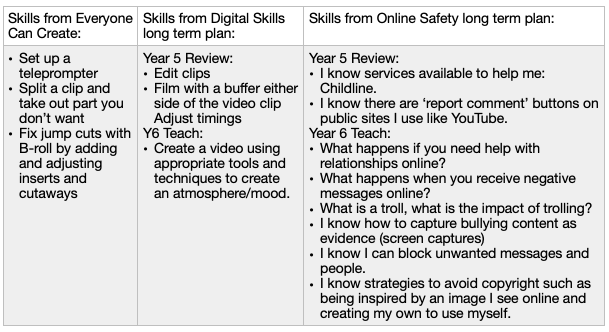 Objective: Create ‘e-Safety’ Tutorial Videos. Pupils in Year 6 will follow the tutorial for filming a ‘teaching show’. They will be familiar with the ‘how-to’ style of video from their own viewing habits on YouTube, therefore this style of filming is very relevant to them. They will film tutorials that explain how pupils can talk about any issues they may be facing online; highlighting a variety ways pupils can report e-Safety problems both in and out of school. This project comes from the Music guide from Everyone Can Create. Pupils will follow this chapter to write lyrics for a rap, performance poetry or spoken word podcast. They can share their advice for creating a better internet for all or draw on their own experiences, giving first hand accounts of existing problems and why we need to work together to make the internet a better place. 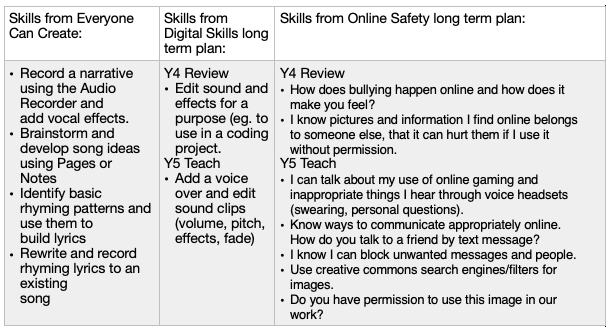 This project teaches pupils concepts from the new Burton Joyce e-Safety long term plan. Based on the recommendations in Education For A Connected World (February, 2018), we now teach our pupils a healthy lifestyle for device use. This strand explores well-being, sleeping routines and emotions when using technology for different purposes and at different times of day. Pupils will create a personal photo collage of device use throughout a typical day in their life. Their photo collage will reflect their usage but also their emotions when engaged in this activity. This project aims to give our Year 3 and 4 pupils a chance to reflect on habits that may be forming already and how to adapt these choices to make their technology use better. Using the Everyone Can Create guides with younger students can be a challenging process. Instead of selecting a project from the Drawing guide, we took an activity and broke it down in to smaller steps. Children listen to a range of e-Safety themed stories such as Troll, Little Red Riding Hood and the Woolly Sheep and Daisy Chain. They map out these stories and discuss the emotions the characters feel when using technology throughout the story. They will reflect on how they feel when using devices and bring their own experiences in to the story mapping. Next, children will be taught how to draw shapes and patterns on a digital paint program first. Then they will begin designing emojis which represent their feelings when using technology and how others feel when problems arise. Finally, teachers will review the advice on what to do when something goes wrong online, referring to the plots from the stories read. When integrating Everyone Can Create projects with your existing curriculum, it is important to know the skills and interests of your staff. These projects were not just allocated to staff, they were carefully planned for, based on the teachers professional development. Year 1 and 2 teachers have already used the Drawing guide to create digital drawings of poppies for the school’s Remembrance Day exhibition. They are now familiar with the apps needed in this activities. The teacher in Year 5 is also the school’s music specialist. Planning to use the Music guide in Year 5 supports the teacher’s strengths and interests, making the technology use relevant to her curriculum plans too. 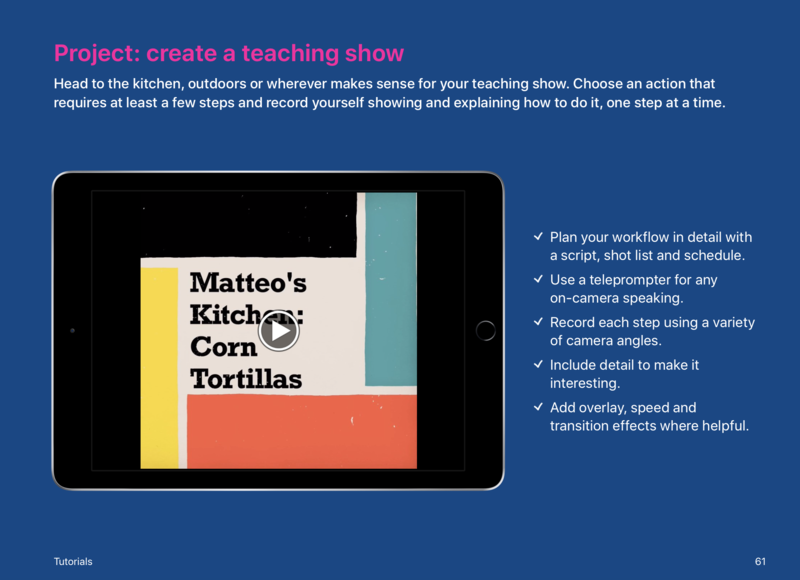 The teacher in Year 6 achieved Apple Teacher when this professional development tool launched in 2017 and she has already planned from the Animatics’ chapter in the Everyone Can Create Video guide. This project is the next step for her pupils learning. 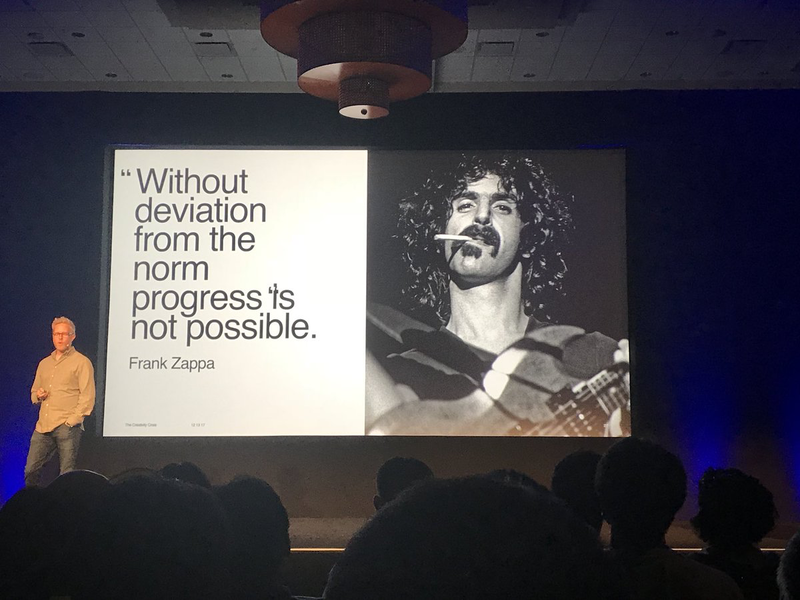 The main drive behind #ADE2018 was that ‘Everyone Can Create’. I believe this is the case whether you have an Apple Device or not; anybody can pick up a pencil and create some artwork. However, if you are lucky enough to have an iPad you can not only develop your artwork skills, but you can create remarkably high quality film, animation, music, code, art and photography all from the same device. Some depressing statistics about the corrosion of creativity in schools were shared during one seminar that particularly resonated with me. The data showed how there has been a deprioritisation of creativity in many school systems across the globe. The UK is no exception to this worrying trend where teaching to the test is becoming the norm. Even Amanda Spielman, chief inspector of Ofsted, has warned that children’s chances of getting a “broad and balanced education” are at risk due to exam reforms. 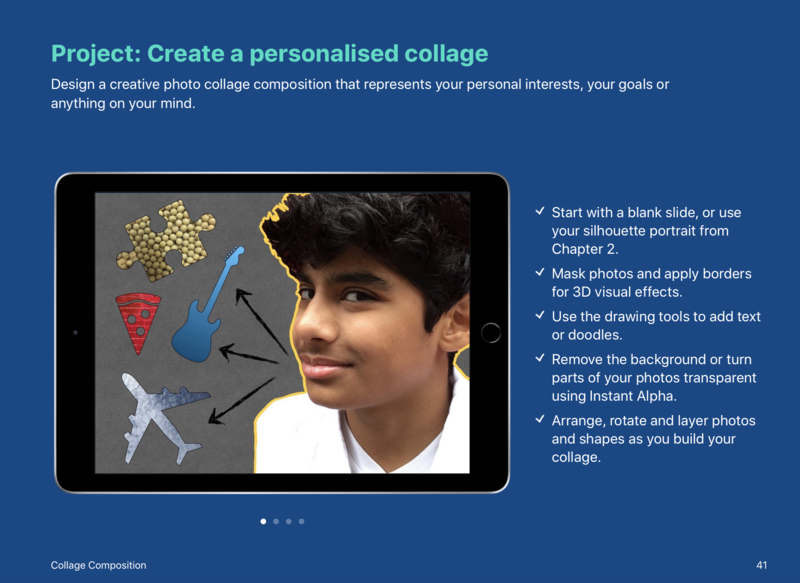 However, Apple have created some amazing iBook curriculum guides that can help your pupils to make remarkable creations on their iPads that will be released this Autumn. Austin is home to many amazing things. One of the bridges that crosses the Colorado River is home to an estimated 1.5 million bats, that choose to leave their home at dusk in search of food. The stream of bats leaving the bridge is a remarkable sight that hundreds of people gather to watch every evening. In the river itself, turtles swim freely and if you choose to higher a paddle board or kayak, you can get a close up view of them as they surface for air or bask in the sun. 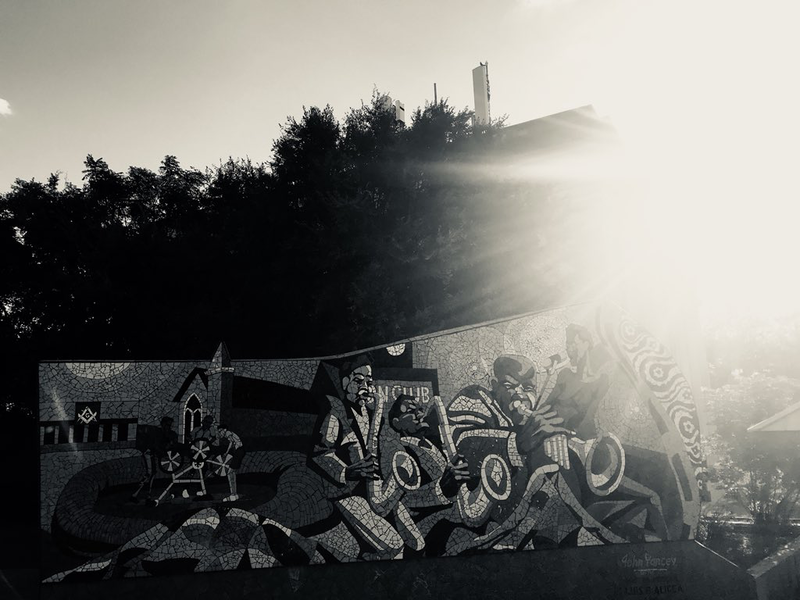 Austin also brands itself as the “Live Music Capital of The World” and when taking a stroll through the City, there is literally music playing on every street and the musicianship is on another scale. However, with iOS, each and every one of us can emulate these musicians with some of the incredible features of GarageBand. The GarageBand demo was one of the highlights of the week; many of the superb features were shared including the ‘Learn to Play’ interactive tutorials that can help everybody learn an instrument. Furthermore, there is a specific Everyone Can Create Music guide, arriving in Autumn, that will help teachers facilitate some awesome music production in their classrooms. Another workflow enhancing tool that was shared was ‘Schoolwork’. The cloud based App provides teachers with the ability to create, distribute and annotate student work whilst providing instant feedback. Furthermore, almost any content can be easily shared and you can collaborate with students in real-time! There is even a growing list of educational apps with which you can monitor progress through Schoolwork. For Schoolwork to work, you will need it set up in Apple School Manager and therefore, the devices need to be part of the DEP (Device Enrollment Program). More information on getting started with Schoolwork can be found here. However, an interesting question that a few of us ADE’s asked ourselves, was where does this leave iTunesU? Many schools, including my own, have invested time and effort in creating iTunesU courses and hope that support and updates will continue. 4. The Accessibility Features of iOS are unbelievably good. Another highlight was the Apple presentation concerning the accessibility features that are inbuilt into every iPad. From simple functions like zoom and magnifier, that can assist the visually impaired, to more complex tools utilised by the remarkable ADE, Sady Paulson. Not only were we treated to a live FaceTime with Sady, who has Cerebal Palsy, we also saw this incredible film that was edited and directed by her that summarises some of the tools much more eloquently than I ever could. It would be well worth having a conversation with the SENCO in your context to see if they are aware of how children with different educational needs can take advantage of these extraordinary features that have clearly been a labour of love for the Apple team behind them. The iWorks update includes some brilliant new features to Keynote and Pages, both of which are free and come with any purchased iPad. 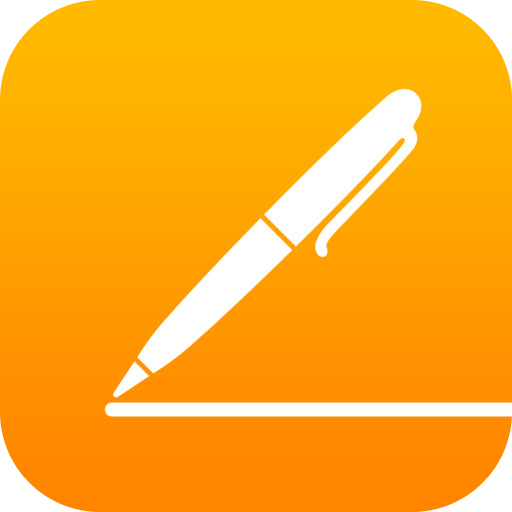 Regarding Keynote, the fact that you can now export your presentation as a movie, means that you can create some brilliant animations – particularly when combined with the Apple Pencil. The pencil functionality means that you can animate drawings using slideshows when using the ‘Line Draw’ build. It really is a cool feature and there are some great examples out there on Twitter – just take a look at the #EveryoneCanCreate feed. Certainly, I feel that the flexibility of KeyNote could mean the end of justifying the £10 fee for Explain Everything. As far as Pages is concerned, it too has brilliant functionality with the Apple Pencil, effectively becoming a powerful sketching tool as well. The workflow means you can easily create interactive EPUB books that can be viewed in iBooks. When starting a document, scroll down to find the Books template. Once selected, you can add text, photos, image galleries, videos, shapes, tables, charts and your own drawings to your document. 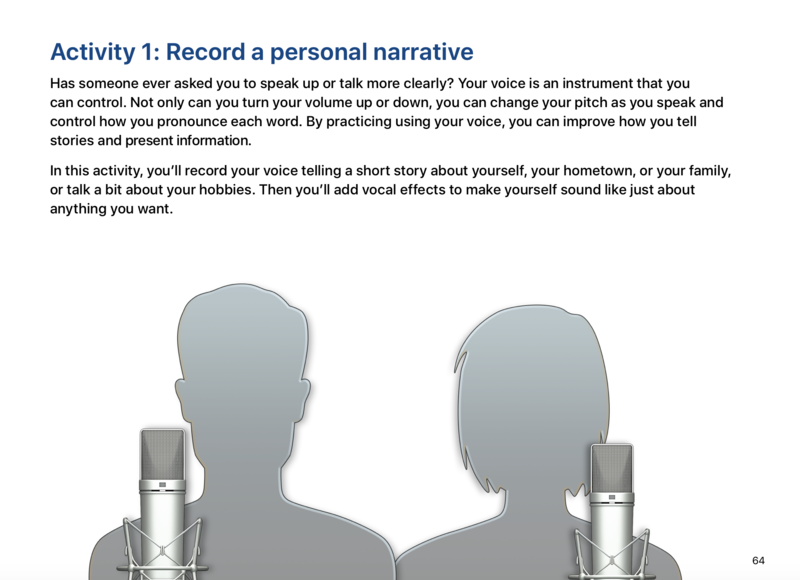 On iOS you can also record audio directly to your document. This effectively means we will no longer need to spend £5 on purchasing the Book Creator App. 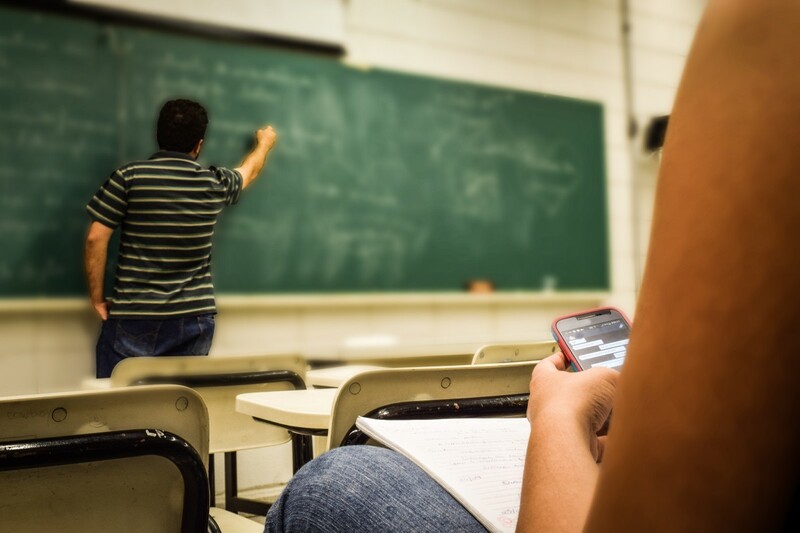 By exploring these apps in a little more detail and utilising all their features, schools can save at least £15 per device, which in the current environment of budgetary difficulties, represent substantial savings to educational establishments. 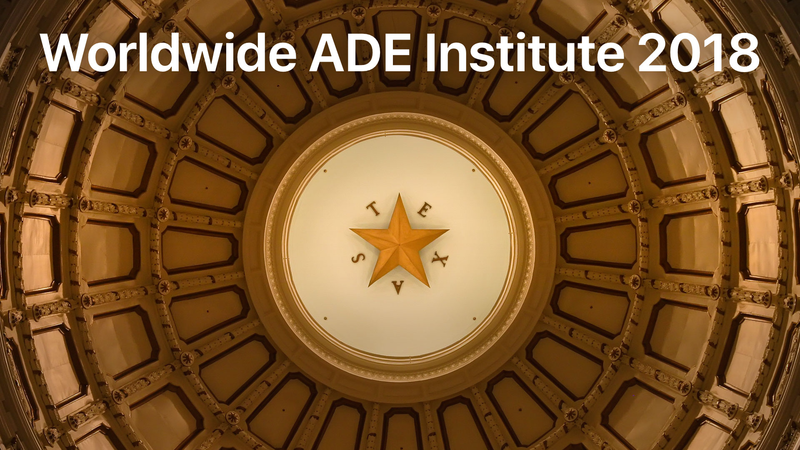 The ADE community is truly exceptional and I feel privileged to be part of a group that includes some of the most passionate and innovative educators on Earth. I can’t wait to see all the projects, that originated in Austin, come to life across The Globe. In my context, plans are already underway to revolutionise digital literacy. The personal connections are too numerous to mention here, but it is worth pointing out that it is not just digital devices that bind us together. Moreover, it is the sharing of practice, ideas, friendship and the drive for change that really unites us and make us a true force for evolution in educational institutions worldwide. Culture as a concept is infamously hard to characterize but is one of the most important concepts in education. Kaplan and Owings (2013) suggest that school culture can be understood by established, yet unspoken assumptions, values, beliefs, practices and actions. Schein (2010) agrees, stating that an organisation’s culture is the intrinsic basic assumptions and beliefs held by its members. Therefore, when Hodas (1993) suggests that, until recently, the last technologies to have a surviving impact on schools were the textbook and blackboard, it becomes immediately clear that for established norms and practices to change to incorporate digital technologies, a significant change in school-specific culture is required. There are of course immediate difficulties; computers and digital technology are not culturally neutral. By their very nature they change discourse and traditional means of communication as they influence classroom social interactions. There lies the difficulty; a change to teaching style required by a shift in culture (due to the adoption of technology) involves movement of those teacher beliefs and assumptions which are often stable and resistant to change. Without such a shift, combined with the cultural norms of contentment and comfort-zone mentality, purchased technology may never make it out of it’s box. In other words, higher levels of use are far more likely to occur when the perception of technological value is high and the physical resources low rather than the other way round. Imperative in driving any such change in school culture is the role of leadership. Much of the responsibility to progress digital culture remains in the hands of school leaders as it is they who have the ability to determine the cultural norms and values and decide which technologies correlate with them. Indeed, Stoll (1998, p13) describes school leaders as “culture founders”, who are ultimately responsibility for changing culture by introducing new values and beliefs, whilst Schein (2010, p11) argues that perhaps the “only thing of real importance that leaders do is to create and manage culture”. A good place to start for an effective school leader wishing to integrate technology within the culture of a school is to ensure they have a clear vision for the role of the educational technology in their context. Successful school leaders should facilitate the development and agreement of visions that encapsulate best practice with regard to teaching and learning. Indeed, McKinsey and Co (2010) investigated a number of educational systems worldwide to ascertain which factors consistently heralded improvement. They discovered that nearly every school leader they questioned confirmed that establishing both vision and direction were among the most significant attributes of their success. However, for the vision to be successfully realised, an effective school leader should ensure that it is established in conjunction with teachers, and even other members of the school community. Unless leaders share the formation of the school vision for how (and why) technology will enhance both teaching and learning, teachers may not be motivated to integrate it within their pedagogical approach. However, even after establishing a collaborative vision, changing culture, even in the most accommodating of settings, is difficult to achieve. Ertmer (2005) points out that the individual philosophical beliefs of teachers are not easily changed whilst Newhouse and Clarkson (2008) reported that a wide-variety of teachers were less than enthusiastic about the changes required to their pedagogical approach that were associated with the introduction of digital technologies into their everyday teaching. Indeed, it is often the case that the more an approach is viewed as innovative, it becomes more likely that teachers will be skeptical and view it as a potential fad or threat. So how can school leaders combat these numerous challenges in their efforts to successfully embed a culture of using digital technology to enhance and improve learning? Ertmer (1999) has distinguished the various hurdles into two categories that highlight the importance of teachers internal charactieristics; ‘first-order barriers’ are external and unaccountable to teachers, whilst ‘second-order barriers’ are internal and reflect personal beliefs and attitudes. Typically, teachers cite a lack of resources as a major factor in their struggles to adopt digital technology into their curricula; including hardware, software, time and technical support. Any lack of access to relevant technological equipment is then (albeit understandably) used as reason for the underutilisation of classroom technology. After all, if there are no new computers or software installed and no technicians to install them, teachers would be less likely to break away from their everyday, pedagogical comfort zones. In most schools, the overall school budget is managed by the senior leadership team. Gibson (2002) expresses his concern about the potential negative influence on technology adoption by those in charge of budgets who lack the required knowledge or understanding to buy the required resources to progress. Therefore, school leaders who wish to adopt and integrate technology will need to ensure that sensible and well planned finances are available. However, literature indicates that even if plentiful resources are purchased, increased availability of digital hardware and software is not necessarily sufficient to encourage classroom integration (Gibson 2002, Ertmer 2005, Anderson and Dexter 2005). A comprehensive study by Cuban (2001) provided further evidence that increased access to computers, hardware and software does not always lead to widespread and beneficial classroom use. Possession of digital technology does not guarantee effective integration; of more importance is the teachers ability to know how to integrate it. School leaders who believe by simply purchasing technology their schools will suddenly witness mass integration will be sadly disappointed. A valuable resource that does not break the bank is time; although it does represent another huge factor within this variable. During the Apple Classrooms of Tomorrow project, researchers such as Sandholtz, Ringstaff, and Dwyer (1997, cited in Ertmer 2005) concluded that it takes five to six years to integrate technology to the extent advocated by constructivist (a view of learning in which people construct their own understanding and knowledge through experiencing things and then reflecting on those experiences) reform efforts. Therefore, school leaders who wish to adopt technology should not expect an overnight solution and should be willing to allow time for a successful adoption process to take place. Teachers who consider technology to be threatening would be more likely to adjust their normal practice to incorporate technology if a school leader can prove to them that it has advantages. For fundamental change to occur, leaders need to successfully model the new practices they expect to replace the old ones. Indeed, Stegall (1998) suggests that it is imperative school leaders consistently use digital technologies, read books about computers, take part in personal and professional development opportunities, attend technology conferences, join technology organisations, find experts to help and give advice and take the opportunity to visit and critique schools that have successfully integrated technology into their curricula. These observations concur with the association between beliefs and personal experience as suggested by a theory proposed by Nespor (1987); if personal experience leads to the formation of beliefs then logic suggests changes to those beliefs could be effected through positive experiences. Therefore, if modelling good practice with technologies is itself to take place, school leaders need to create an environment of support and collaboration to maximise it’s success. Teacher knowledge has a huge impact on their classroom decisions, therefore it is imperative that school leaders help them to adequately develop and improve their knowledge systems if culture is to successfully develop. Interestingly, Shulman (1986) set out a framework that enabled the subsequent analysis of teacher knowledge by summarizing it into seven categories; pedagogical knowledge, content knowledge, knowledge of classroom management strategies, curricular knowledge, learner knowledge, context knowledge and knowledge about educational goals and beliefs. Three decades later it is evident that digital technology knowledge has emerged as a potential eighth category. However, it is not as simple as a teacher knowing how to switch on an interactive whiteboard or use an iPad. For example, teachers who wish to efficiently adopt technology into their pedagogical approach need to be able to redesign curriculum, manage software and hardware and ascertain which technologies or applications allow successful integration and improved learning to take place. Therefore, school leaders must create a culture that ensures relevant teacher knowledge is given the chance to develop accordingly. Kagan (1992) suggests that often what teachers regard as their professional knowledge, could be considered more of a belief. Many of the tedious eduTwitter arguments between so-called progressive and traditional teachers corroborate this very point. Indeed, it is these attitudes that frequently carry more substance than knowledge when determining the behavior of teachers. Many other researchers concur that teachers’ beliefs concerning the value of technology and student learning were internal components that stopped teachers from utilising technology (Anderson and Dexter 2005, Zhou and Bryant 2006). Teacher beliefs and, in some cases, innate resistance to change, is therefore another factor that could adversely affect a positive deviation in culture. Indeed, research by Honey and Moeller (1990) discovered that teachers with student-focused pedagogical beliefs were generally better at integrating technology whilst those with more traditional beliefs encountered much greater challenges to do so. Furthermore, their observations saw that teachers with predominantly traditional beliefs generally implement less sophisticated technology use whilst those with constructivist beliefs implement a more student-centered pedagogical approach to technological integration. There are a number of potential factors involved with this but teachers with traditional beliefs may simply distrust the role of technology as they perceive it to detract from the relationship between teacher and student (Cuban 2001). Furthermore, many teachers believe technology to simply be another weight added to their already overloaded list of responsibilities (Ertmer 2005). However, Fang (1996) noted inconsistencies between teacher beliefs and what materializes in their classrooms. He goes on to suggest that actually contextual factors hindered teachers’ ability to routinely administer their beliefs in their classrooms. This means that there could be potential for school leaders to develop the foundations for change, when teachers have constructivist beliefs, via the establishment of a culture of innovation. However, school leaders must also be fully aware that teacher beliefs are seldom fully revised and “thus over time, become deeply personal, highly engrained, and extremely resistant to change” (Ertmer 2005, p13). Bingimlas (2009) probes a little deeper and concludes that resistance to change itself is not necessarily a barrier in it’s own right; perhaps, he suggests, it is a sign that something is not right; why is their a resistance to change occuring? Finally, Bandura (1997) argues that in some cases, even if a teacher does believe in the advantages of integrating digital technology within their pedagogy, the questions they have over their own ability – their self-efficacy to implement the change – will itself be a significant barrier. Without self efficacy both knowledge and belief in technology are insufficient to facilitate student learning (Ertmer and Ottenbreit 2010). Bandura (1997) describes self-efficacy as the belief in one‘s ability to organise and accomplish the required course of action to produce results. The significance of this, with regard to technological integration, was noted by Wozney, Venkatesh and Abrami (2006) who surveyed 764 teachers to discover one of the two highest predictors of technology use was their confidence of meeting their goals using the technology at their disposal. A survey by The British Educational Communications and Technology Agency (BECTA 2004) concurred; the area that encouraged most responses about using technology in the classroom was “lack of confidence”. The same study concluded “many teachers who do not consider themselves to be well skilled in using ICT feel anxious about using it in front of a class of children who perhaps know more than they do”. Leaders therefore should devote time and effort to raise teacher confidence to utilise technology, beyond simply administrative tasks, to accomplish and meet student learning objectives. One of the best options available to school leaders is the facilitation of positive experiences for teachers, with digital technology, within the context of their classroom. Successful personal experiences in which the potential of classroom technology is clearly articulated are most likely to build teacher confidence. In other words, the variable of modelling good practice with technology can improve self-efficacy. In conclusion, awareness of first-order barriers will help school leaders address lack of technological self-efficacy. For example, giving sufficient time for teachers to get to know the technology and start to enjoy successful experiences with it are strategies school leaders could engage with. Furthermore, working alongside knowledgeable colleagues or encouraging staff to join professional learning communities could also help leaders to improve the self-efficacy of their colleagues. Moreover, school leaders need to develop a culture of learning, where teachers know that opportunities for professional development will help improve their practice, skills and knowledge. Teachers need to be able to tailor their professional development for direct impact on their own practice and be afforded the opportunity to take responsibility for pedagogical improvement. When adopting new technologies or strategies successfully, they must become an everyday part of teachers’ repertoire with tangible results and positive impact in their classrooms. Indeed, if a school leader is able to increase confidence, offer positive experiences for teachers to improve their skills, knowledge and understanding, they are more likely establish self-efficacious behaviour. However, like teacher knowledge and beliefs, self-efficacy by itself is not enough to ensure technology is adopted in schools appropriately. Nevertheless, school leaders should take heed when considering that it is those individuals with a positive sense of efficacy that help to shape a culture that could ultimately overcome the significant challenges that occur in the adoption of technology. Bandura, A. (1997) Self-efficacy: The exercise of control. New York: Freeman. Bingimlas, K. (2009) Barriers to the Successful Integration of ICT in Teaching and Learning Environments: A Review of the Literature,Eurasia Journal of Mathematics, Science & Technology Education, pp.235-245. BECTA (2004) A review of the research literature on barriers to the uptake of ICT by teacher. Cuban, L. (2001) Oversold and underused: computers in the classroom. Cambridge, MA: Harvard University Press. Ertmer, P & Ottenbreit-Leftwich, A (2010) Teacher Technology Change, Journal of Research on Technology in Education, 42(3): pp.255-284. Fang, Z. (1996). A review of research on teacher beliefs and practices. Educational Research, 38(1): pp.47–65. Hodas, S. (1993). Technology refusal and the organizational culture of schools. Education Policy Analysis Archives, 1(10). Honey, M., & Moeller, B. (1990). Teachers’ beliefs and technology integration: Different values, different understandings. (Technical Report 6): Center For Technology in Education. Nespor, J. (1987). The role of beliefs in the practice of teaching. National Institute of Education, Washington DC. Schein, E.H. (2010). Organizational culture and leadership. 4thed San Francisco: Jossey-Bass. p.6. Shulman, L. S. (1986). Those who understand: Knowledge growth in teaching. Educational Researcher, 15(2): pp.4-14. Wozney L, Venkatesh V & Abrami P (2006), Implementing Computer Technologies: Teachers’ Perceptions and Practices, Centre for the Study of Learning and Performance Concordia University. Zhao, Y., & Bryant, F. L. (2006) Can teacher technology integration training alone lead to high levels of technology integration? A qualitative look at teachers’ technology integration after state mandated technology training. Electronic Journal for the Integration of Technology in Education, 5: pp.53–62. During the previous 30 years, powerful digital technology has restructured how we communicate and how we live. Internet-ready mobile phones, tablets and laptops have become an intrinsic part of everyday life that has been mirrored by a seismic growth of educational technology in schools. Indeed, global expenditure is expected to reach as much as £190 billion by 2020 (Spaven, 2016). Broad academic opinion suggests that digital technology has the potential to improve learning opportunities, workflow and even reduce teacher workload (Bingimlas, 2009). Nevertheless, some research indicates that digital devices in schools can also have a significant negative effect on outcomes and can be an expensive gamble for schools when budgets are already stretched. Some difficulties derive from an incoherent understanding of the everyday instructional benefits that technology can facilitate (Adams, 2016) . Moreover, much of the academic literature suggests that many of the challenges originate from poor long-term planning that failed to consider network infrastructure, ownership models, stakeholder engagement, evaluation of progress and perhaps most fundamentally of all, associated continuous professional development (CPD). As teachers know, there is an ever-growing variety of different CPD options available to schools, however the increasing range by no means guarantees quality. Like with the adoption of technology, ill-considered CPD leadership and management can be expensive and is unlikely to wield improved student outcomes. For every expensive failed technological adoption there is an equally ineffective education “guru” who is willing to charge schools a small fortune for their wisdom yet with little or no evidence of impact. Whatever CPD you experience, it is worth remembering that it should not be a short-term intervention, rather a long-term process. 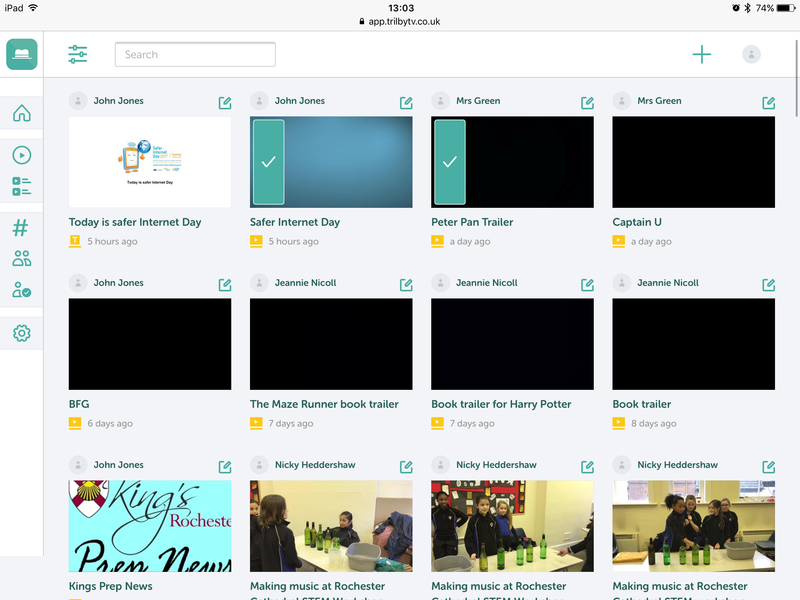 At the school I work at, we have invested significantly in digital infrastructure which has been the backbone behind a 1:2:1 iPad adoption from Year Six to Year Eight, where the expectation is that all pupils bring in their own device to assist with their learning. 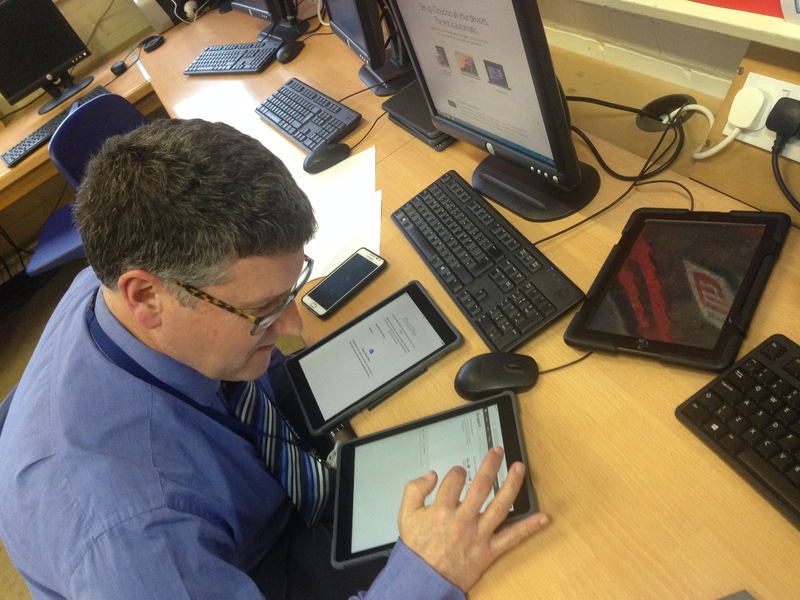 The project is nearly at the end of it’s third year and previous in-house research has demonstrated that opinion on the iPad scheme from teachers, pupils and parents has been positive. Nevertheless, when considering that one of the prevailing reasons for failed technology implementations is a lack of suitable continuous professional development, we have offered a variety of different CPD solutions to help teachers and pupils get the best out of the devices. However, how useful has it been? I recently conducted some research for my MA in Educational Leadership and Management to ascertain perceived value and work out some useful strategies moving forward, which can also be applied to more general CPD as well. Paramount to the success of any technological adoption is the procurement of suitable resources. This does not simply mean buying a bunch of iPads. 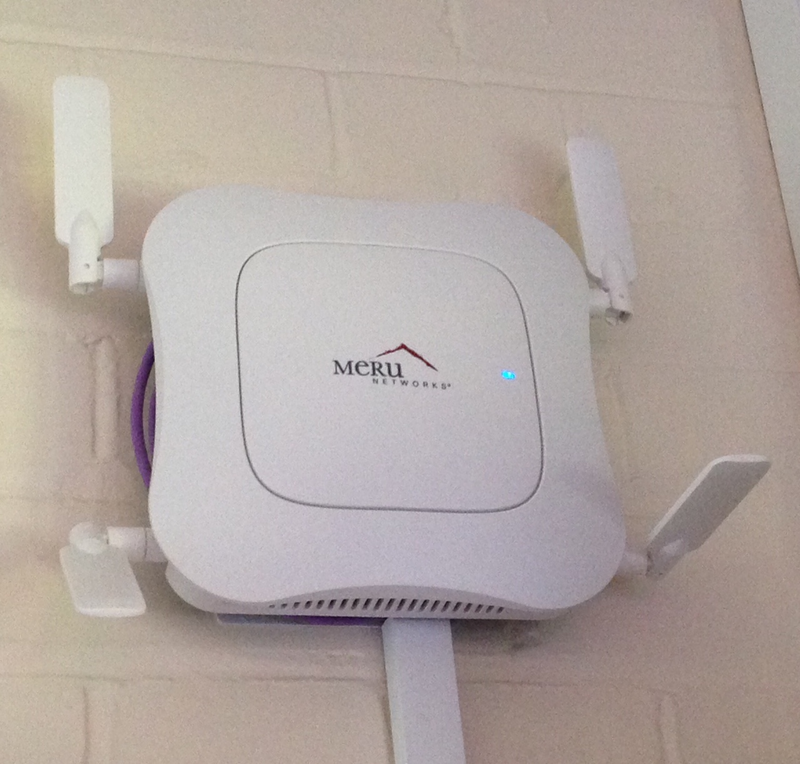 The accompanying infrastructure all needs to work as well. Although, it should be remembered, even when resources are available, it does not guarantee a successful integration. This study revealed a sizable minority (33.3%) of teachers reporting they felt they did not have the required resources to successfully deploy iPads. Interestingly, the iPads themselves were not cited as resources that were causing issues, rather it was surrounding infrastructure such as projectors, access to devices and time that were cited. Instead of simply amassing more technology, leadership and management need to ensure a sustainable plan is in place for the maintenance of all equipment involved in iPad workflow. High-quality internal professional development offers the opportunity to remove barriers and improve teacher efficacy (Kopcha, 2011). We have run internal workshops on a varity of Apps, pedagogical concepts and ways in which to integrate iPads into everyday teaching. Nevertheless, the data also revealed that 57% of teachers had only attended between 1-3 sessions; timing and workload were cited as reasons for this. Therefore, leadership and management should undertake a creative analysis of time allowance for CPD and make subsequent provision for staff development. Sometimes expensive external workshops or CPD sessions can prove to be intellectually superficial and inadequate for teacher needs. However, we have tended to utilise free opportunities like the highly regarded sessions run by TRAMS in London. 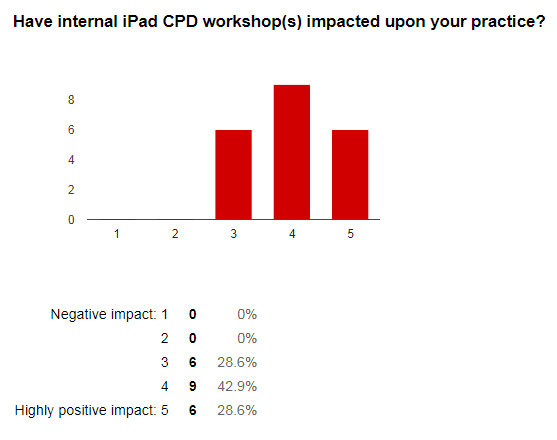 Again, all respondents reported that external workshops had a positive impact; 40% implying it was highly positive. The opportunity for ‘networking’, to ‘chat to experts’ and ‘see the wider pictures of how Apps can be used’ also provided qualitative information about the advantages as deemed by staff. Nevertheless, over 50% of the teachers who responded had never actually attended an external workshop and 60% only attended one session. The unlikelihood of long-lasting change occurring when professional development is not continuous is well-documented. Therefore, by their very nature workshops with no follow-up are unlikely to have a deep impact. Teachers referenced workload, cover and finances as reasons why attendance was generally low. Mentoring should be considered as a process to manage career transition, normally between an experienced mentor and a less experienced mentee. Various studies suggest that mentor programs assist novice teachers and the moral and emotional support is valued as much as pedagogical guidance. Coaching is a different, but equally as powerful mechanism for situated professional development that involves peer-to-peer discussions that provide the coached teacher objective feedback on both weaknesses and strengths in self-selected areas. Coaching can help develop meta-cognitive articulation, reflection and exploration skills whilst helping teachers to become more aware of their pedagogic understanding. 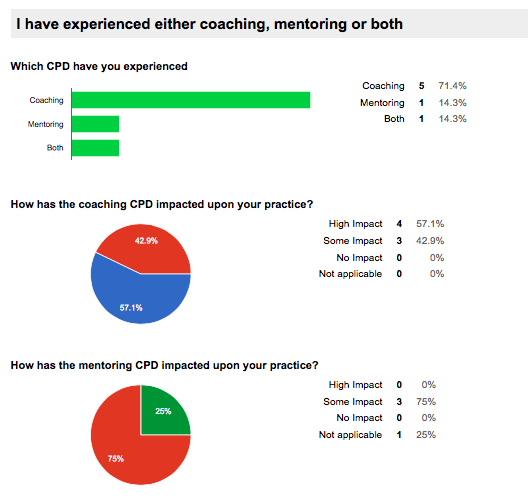 Only 34% of respondents confirmed they had experienced either coaching or mentoring as a form of iPad CPD. All respondents reported a positive impact, but coaching in particular had a high impact upon practice according to the results. Qualitative feedback confirmed perceived advantages of coaching and mentoring as ‘a chance to ask very basic questions’, ‘developing good relations with trusted partners’, ability to ‘ask specific questions to my own use’, ‘can-do rassurance and ‘gain in confidence’. Disadvantages were cited as time constraints and internet connectivity issues. 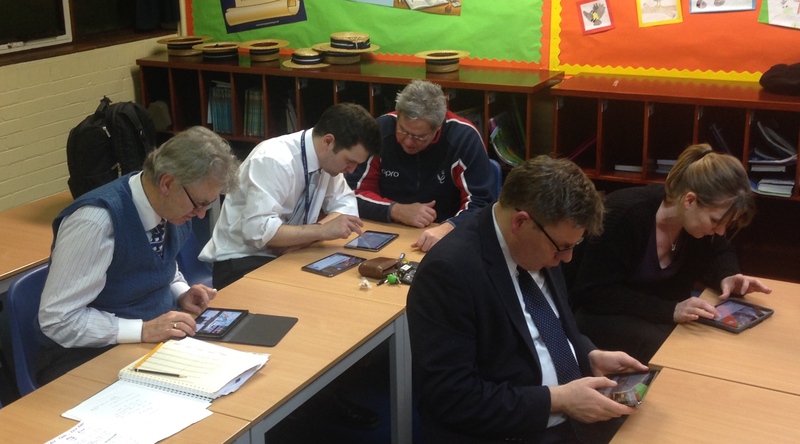 Although not all PLN’s are digital, teachers are increasingly utilising digital technology for CPD. Global networks of support allow them to take advantage of collective knowledge and experiences from friends, colleagues, teachers and educationalists from all over the planet. These PLN’s offer constant, on-demand support therefore allowing for cost and time effective development of practitioner careers. 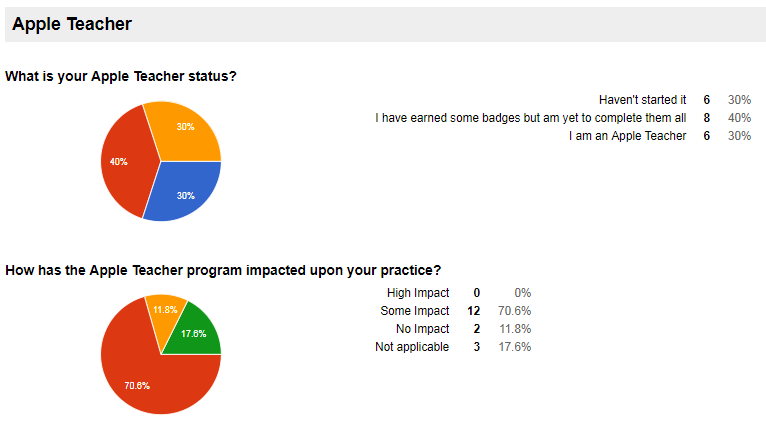 Teachers involved in PLN’s formed 43% of respondents and 100% of them reported an impact on practice. Advantages specified included ‘new ideas’, ‘comfort knowing that colleagues struggle with same issues’, ‘keeping up-to-date with current issues in teaching’ and ‘amazing for subject knowledge’. Nevertheless, 57% of teachers were therefore not benefiting from the perceived advantages of Personal Learning Networks and again, time restraints were revealed as a difficulty. The sheer amount of information was also mentioned as a disadvantage. 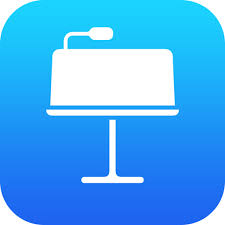 The Apple Teacher is a free professional learning course aimed at supporting and celebrating educators who use Apple technology for teaching and learning. Eight badges are required to pass and each badge can be obtained after completing a short, multiple-choice quiz on-line. It has been introduced as part of the iPad CPD programme within the context of this study as an optional CPD pathway. 30% of respondents reported that they had passed the course and were now Apple Teachers whilst 40% reported to have earned some of the badges – this constituted 12 teachers. 12 respondents also reported the program had impacted upon their practice. Advantages of Apple Teacher included learning new methods, increase in confidence and improved proficiency. Two teachers reported ‘No Impact’ from Apple Teacher. All disadvantages that were shared once more focused on the school level barrier of time as being the main constraint. The behaviour of teachers is normally determined by attitude as opposed to knowledge (Pajares, 1992). Therefore, preordained negative views of different types of CPD has the potential to be a significant barrier to any introduction. The problem deepens for school leaders hopeful of integrating coaching, mentoring or PLN’s as teacher beliefs are rarely completely reversed and, over the course of time, can become ever more firmly entrenched and highly resistant to change (Ertmer, 2005). Nevertheless, there are inconsistencies concerning teacher belief and the actualities of classroom behaviour. Indeed, contextual influences could hinder the opportunity for teachers to administer personal beliefs in their classrooms; for example, avoiding high quality personalised CPD within an overriding culture of learning and innovation would be incompatible. 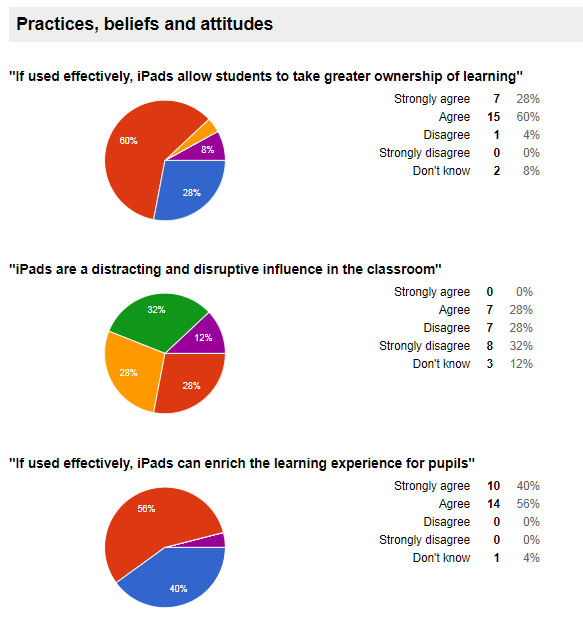 Regarding the use of iPads in education, general opinions at my school were positive among respondents; 88% believed that iPads allowed for greater ownership of learning whilst 72% did not consider iPads to be a distraction. Indeed, not one teacher disagreed with the notion that if used effectively, iPads had the potential to enrich the learning experience of pupils. In conclusion, nearly every modern proposal for improving education and adopting new technologies cites high-quality professional development as a key component. Therefore, as the Independent Preparatory School at which this research took place recently adopted Wi-Fi and iPads, an evaluation of the associated CPD provision offered an opportunity to critically reflect on current practice and consider possibilities to improve teaching and learning. This study ascertained a positive overview of the iPad CPD provision and indeed, an encouraging staff attitude towards the devices. 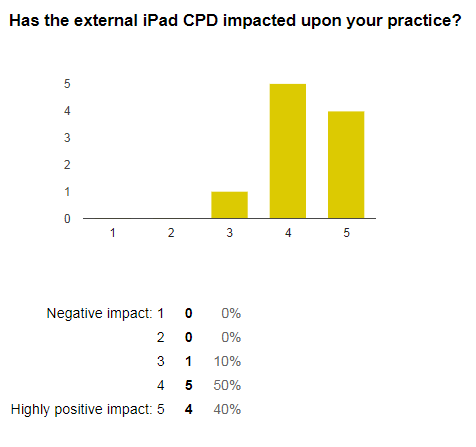 It revealed that the form of CPD itself need not be a concern as long as it provides high quality, personalised opportunities for teachers to improve teaching and learning when using iPads in their classroom. However, it also revealed that many teachers were not utilising all the different CPD opportunities at their disposal and raised concerns about the availability of resources. In addition, this research necessitated a subsequent measurement of impact via future rounds of research. It is widely acknowledged that simple acquisition of technology in education will do nothing to improve standards. This research and the wider literature agree that school leaders, and those in charge of CPD, whether iPad related or not, need to develop a culture of learning, where teachers know that opportunities for professional development will help improve their practice, skills and knowledge. Teachers need to be able to tailor their professional development for direct impact on their own practice and be afforded the opportunity to take responsibility for pedagogical improvement. When adopting iPads or indeed other new technologies or strategies successfully, they must become an everyday part of teachers’ repertoire with tangible results and positive impact in their classrooms. The needs of teachers are best ascertained by clear and open-dialogue. 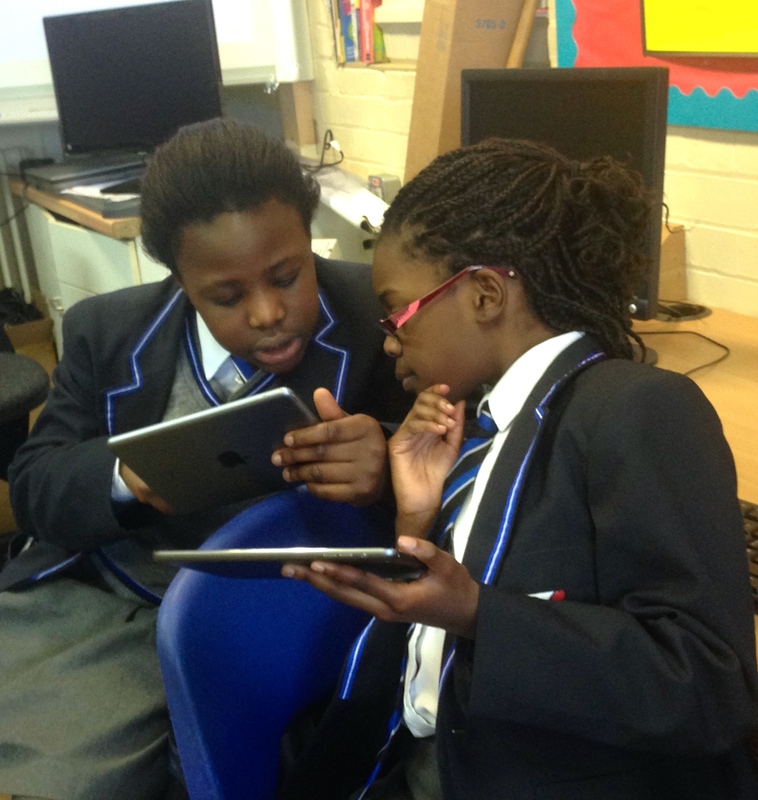 With relevant and positive conversations taking place, the evolution of common-purpose may contribute to the ability of this school, and those further afield, to maintain and develop the use of iPads in a transformational way. Indeed, the creation of a culture with genuine distributed leadership could also provide an environment where teachers routinely and willingly learn from one another and from their wider PLN’s. Furthermore, teachers would be more likely to feel empowered to experiment with iPads and utilise the new skills and knowledge they have procured. Like teachers, each educational system, and each school within it, must be regarded with their own identity, idiosyncrasies and culture. Nevertheless, unless change initiatives ultimately have direct, positive impact on students for whose future teachers are partly responsible, they are unlikely to succeed anywhere. Although it is too early to ascertain any-long term impact of this research, the findings of my study have already impacted upon practice at my school. The mentoring and coaching program has been expanded and more people are becoming involved with the planning and delivery of iPad CPD; indicative of increased distributed-leadership. Furthermore, this research has already helped shape future technological, iPad CPD and leadership developmental plans and will continue to do so with further action-research cycles. Fundamentally, if school leadership teams are focused on the provision of the highest possible standards for their students and feel iPads can assist with that goal, they must develop and sustain a culture that encourages teachers to experiment, discover and learn from their mistakes together. Bingimlas, K.A. (2009) Barriers to the successful integration of ICT in teaching and learning environments: A review of the literature. Eurasia journal of mathematics, science & technology education, 5(3). 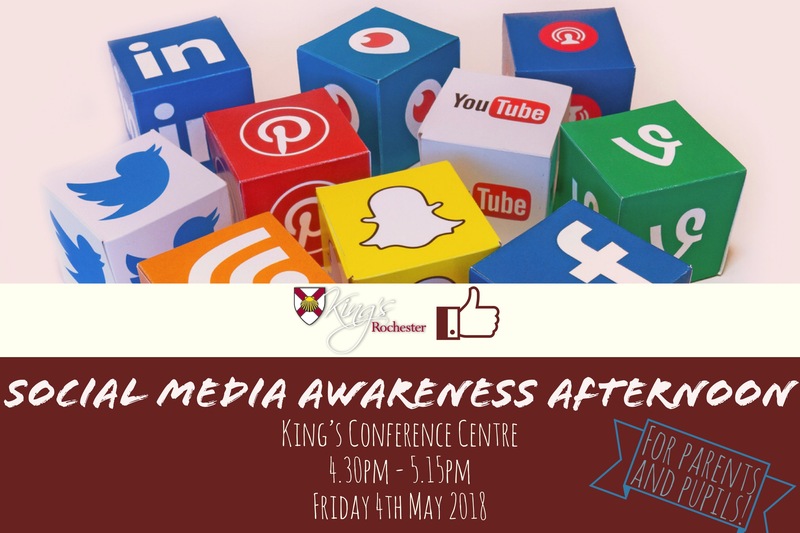 On Friday 4th May, we are hosting a Social Media Awareness Afternoon at King’s and for those parents that can not make it, I have linked the presentation to this blog post. The message really centres around the above quote. We live in a digital age where the number of people engaging on social media dwarfs the population of the worlds biggest countries. There is no point in burying our heads in the sand or scare mongering about the inevitable apocalyptic end-game that social media will bring to humanity. Rather, we strongly recommend a proactive, mediative approach where parents educate both themselves and their pupils about the dangers of social media, but also about it’s virtues and ensure that the correct measures are taken to make sure user experience is optimised. Social media is here to stay. Recent news stories about Facebook data mining and trolls on Twitter have not seen a large decline in the social media giants’ respective user-base. Even if one of the social media giants did fold, it would only be a matter of time before another replaces it and becomes a part of every-day life for everyone with an internet connection. However, the invasive nature of social media in all our lives does highlight the need for education about the pitfalls of clickbait, unsolicited hyperlinks, sharing personal data and digital footprints. We are confident that the children at our school enjoy an engaging digital literacy program whilst at school and also realise that they probably know far more about the social media that they use on a daily basis then most adults. Therefore, during the afternoon, pupils will also be presenting and demonstrating which social-communication tools they use, how they protect themselves and why the power of conversations and communication between parents and pupils is a great way to develop deeper understanding. Furthermore, we will offer reassurance that children’s online lives can be positive if sensible procedures are established and followed. More detailed advice is available in the Prezi below. Trilby TV v4 – What’s New? 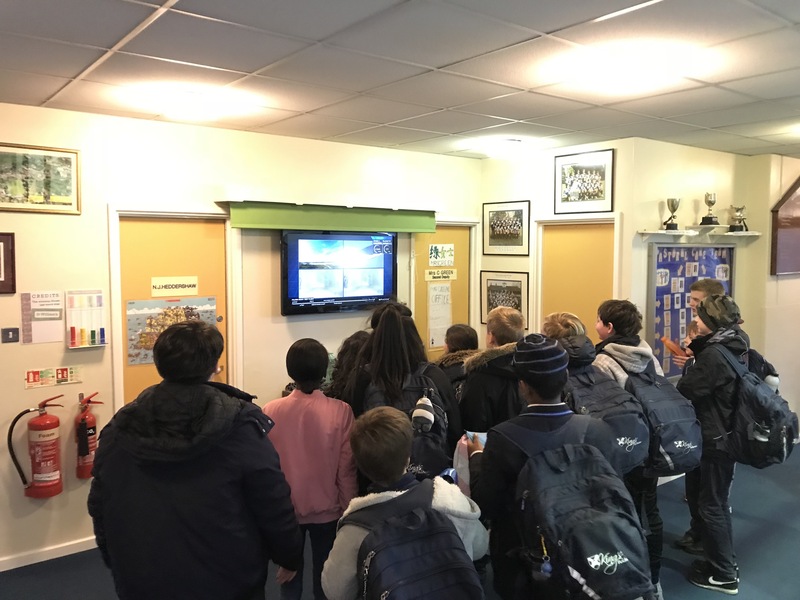 It would not be an exaggeration to say that adopting Trilby TV has had a huge impact on teaching and learning at our school. We adopted Trilby in September 2017 and since then, our digital signage has burst into life with pupil work and achievements brightening our corridors every single day. Furthermore, our staff room has become a hub of information and ideas now we can direct specific content to the newly fitted plasma TV that adorns one of the walls. Even sharing the daily schedule has become a breeze! What once was a laborious task of turning on an ancient laptop stored in a filing cabinet, waiting 10 minutes for it to load and then entering the details via an auto-playing PowerPoint, is now a quick and simple part of my daily routine. I remotely update using Google Slides, and with the related HTML embedded within Trilby, the updates appear instantly on the Trilby TV. 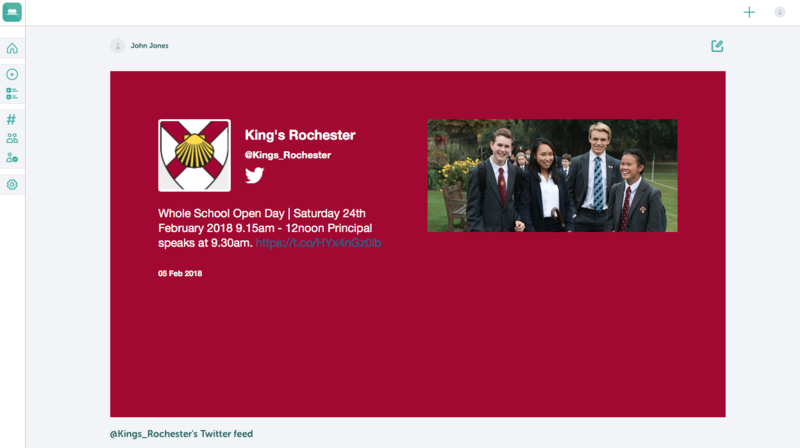 Our marketing department have also seized the opportunity to regenerate the screen in our main school reception; posting student work, activities and news from across the school whilst also advertising future events such as upcoming concerts, productions and Open Days. Adding to all this excitement was February’s eagerly awaited Trilby TV v4 update, meaning the old App will no longer work. However, in the mean time before the new app arrives, the web app works wonderfully on iPads and others tablets too. So, once we have logged into v4, what are the new features that we can look forward to? First and foremost, we have a fantastic new interface to deal with. As before, the + button allows us to add content, which can be in the form of videos, slideshows, twitter feeds, web content or a title screen. However, the overall layout is easier to navigate and the button design looks great too! You can also view the content of each individual channel by hitting the settings button in the top left hand corner. Another great new feature allows users to add different colours to their twitter feeds and title screens. This is very pleasing aesthetically, especially when selecting colours that, for example, link with ones Twitter avatar. I have included an example here from our main school account. A minor gripe with previous version of Trilby TV was the inability to edit the slides that made up your slideshows. For example, if adding a set of pictures from a school trip, once published to Trilby TV you could not add or delete pictures. Instead, to make changes you would have to re-upload all the images again and make the alterations that way. It’s all different now! 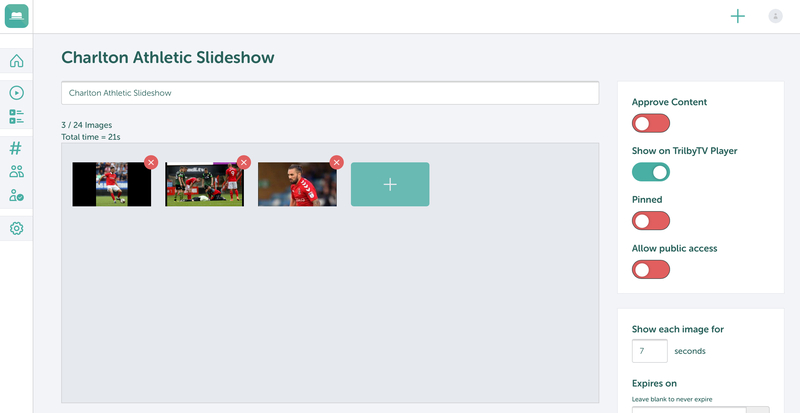 You can easily add and delete individual slides to your hearts content. Playlists are a great way to organise content and with V4, you can edit and re-order you playlists with much greater ease. They can then be sent to different players and, like all content, can be set to a specific broadcast schedule. 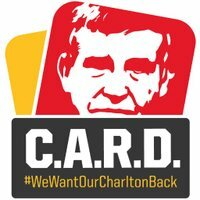 There are probably a few other features that I have missed – please let me know if you are aware of anything I have left out and I will update this post accordingly! For details about getting your school signed up to Trilby or taking advantage of their 30 day free trial – take a look at their website.